Alanda August 15, 2017 Leave a Comment This post may contain affiliate links. Paula and I have been at the Canberra Craft Show for the last 4 days from Thursday to Sunday. 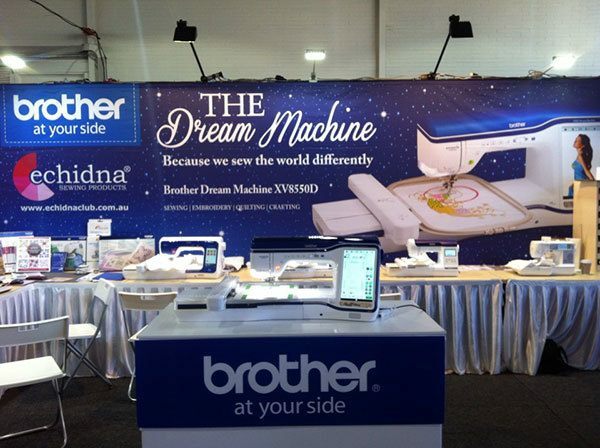 We had an awesome time demonstrating the Brother ScanNCut and we met some delightful people. It was fun sharing the stand with Amanda from Echidna Sewing, those of you who know her (and there were a lot of you) know just what fun she is. 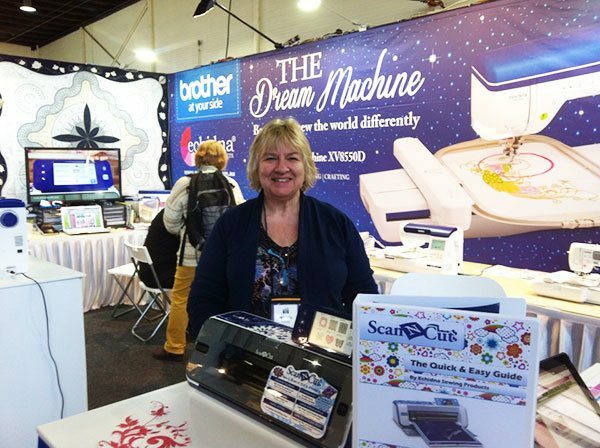 And a big thank you to Dalma from Canberra who was helping on the stall, and who gave us lots of hints and tips regarding the embroidery machines. I have to say I was foot sore and weary at the start, we aren’t used to standing up all day. But I was fine by the last day. We were kept really busy with questions and demonstrations. It is amazing just how many ladies buy the machine and put it in the cupboard. I fully understand, we did it ourselves. However, I am really hoping that we have dispelled any fears of using the awesome Brother ScanNcut, and that many of you will have gone away feeling a bit more confident. We did use some of the time to promote our store where you can buy digital .fcm files for your Brother ScanNCut and our extensive downloadable training program. If you haven’t had a chance to see our course and you are a bit hesitant to use your machine, then I do recommend you to take a look at the training we have to offer. 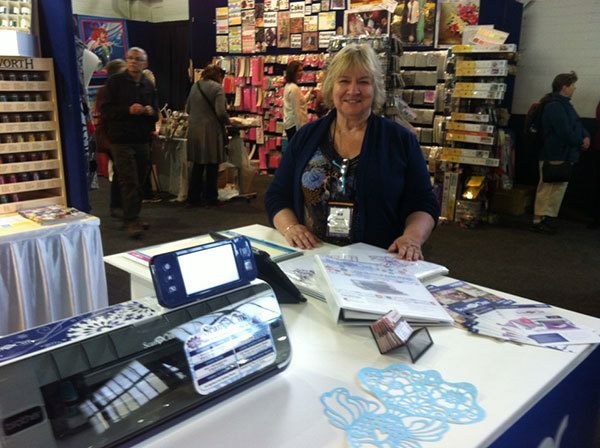 Here I am with our Brother ScanNCut stand. Paula, as usual, is taking the photographs. 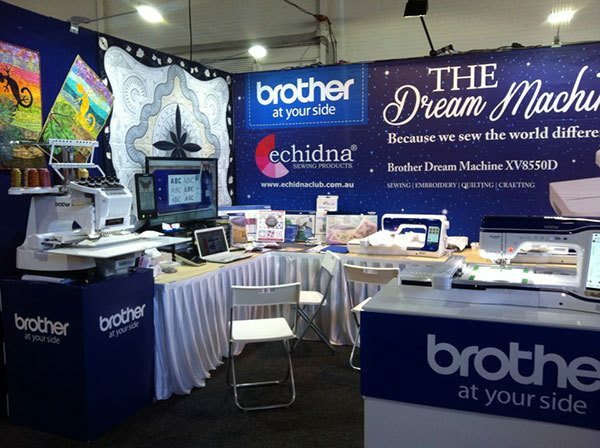 This is the Echidna Stand showcasing the awesome Brother Dream Machine. In the picture you can see the Entrepreneur ProX PR1050X 10 needle embroidery machine. Oh what I wouldn’t give to have one of these babies. Simply set it up and away it goes. You don’t have to change the thread, it cuts it and starts off with the new thread colour. 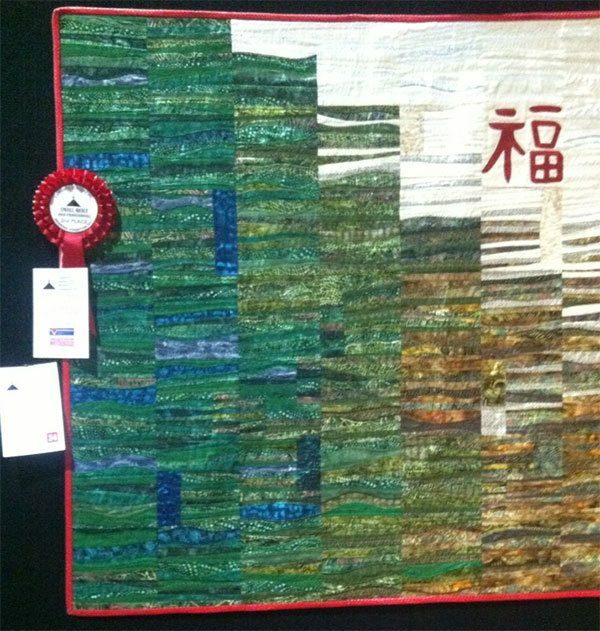 There were some beautiful quilts on show. 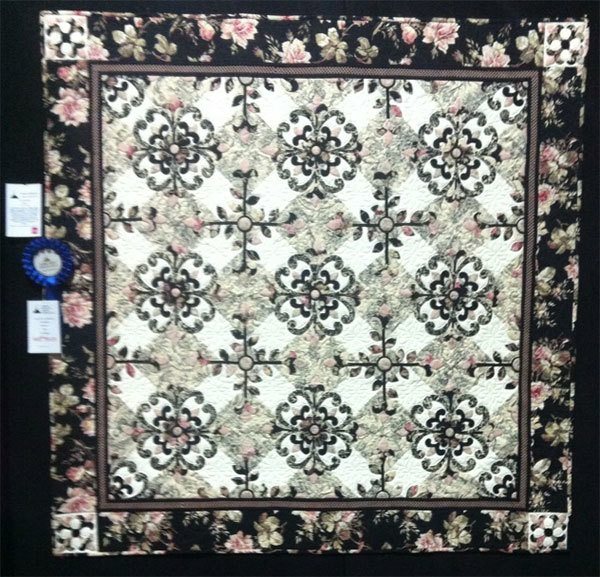 I really loved the quilt that won first prize, it is truly amazing. But there were so many other beautiful quilts to see. 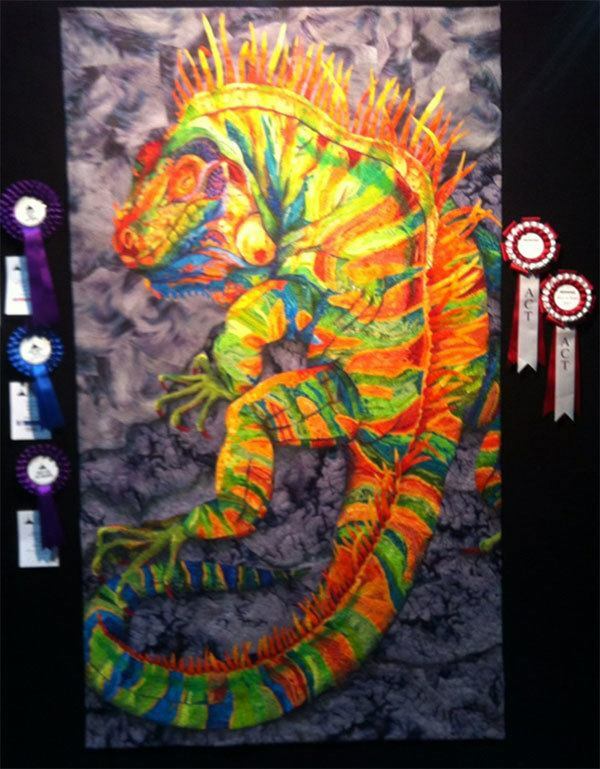 This awesome Kokoda Dragon took 1st prize and you can see why. 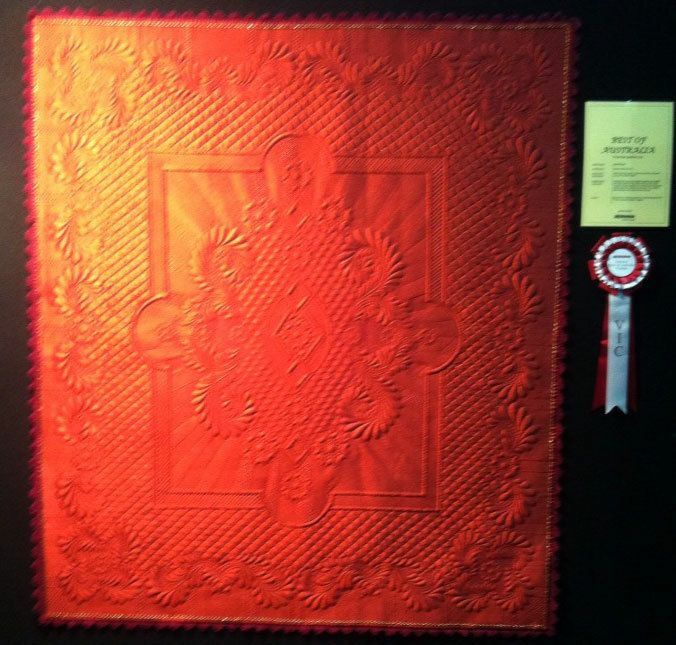 It is beautifully quilted and such an eye catcher. I just love these whimsical cats. These beauties are from the Australiana Section. This one is an Australian Parrot. 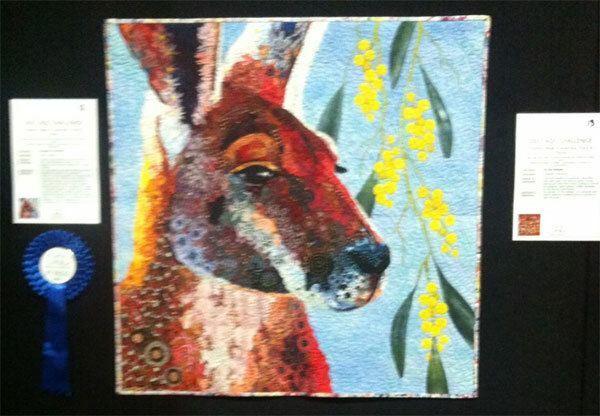 A big red Kangaroo with wattle flowers. The big red is the largest of all the Kangaroos and can be deadly when defending themselves. 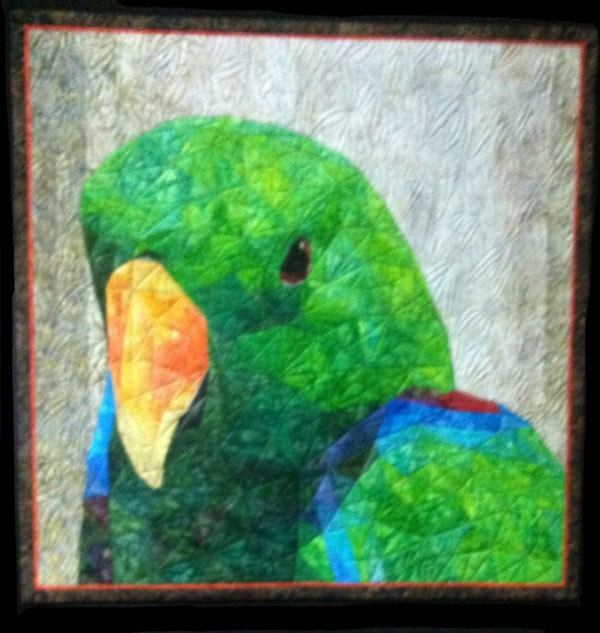 The quilter has caught the features beautifully. This is the common brush tail possum. 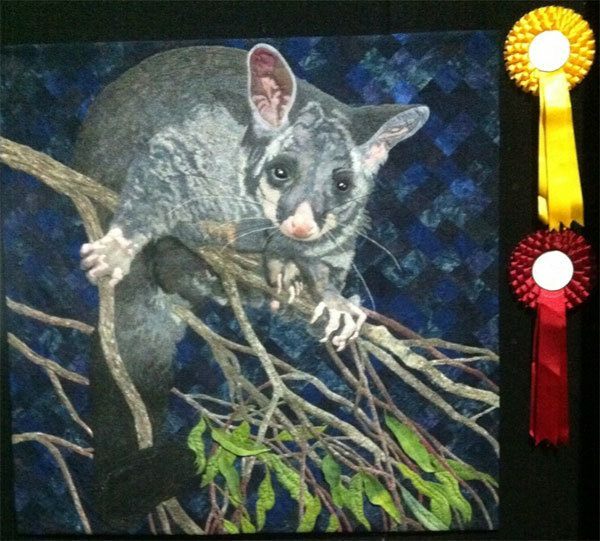 It’s a nocturnal marsupial and the artist has reflected this aspect with the dark night sky as the background. The possum is sitting on the branch of a Euchalyptus tree. 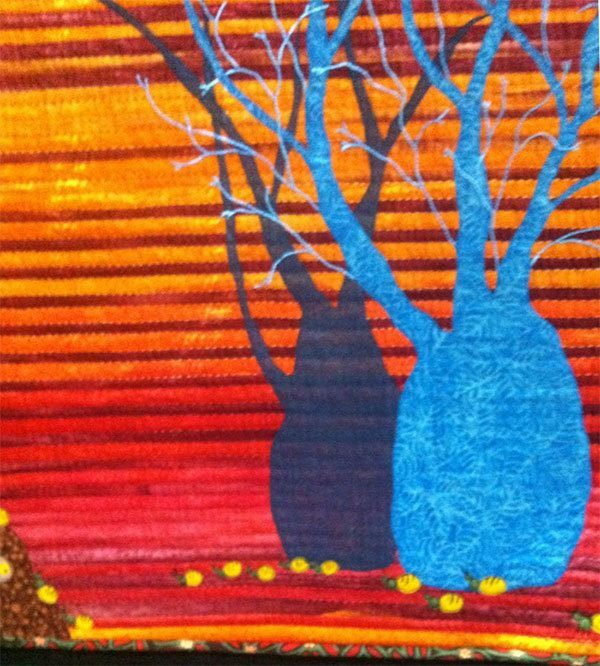 I do like the vibrant colours of this quilt. 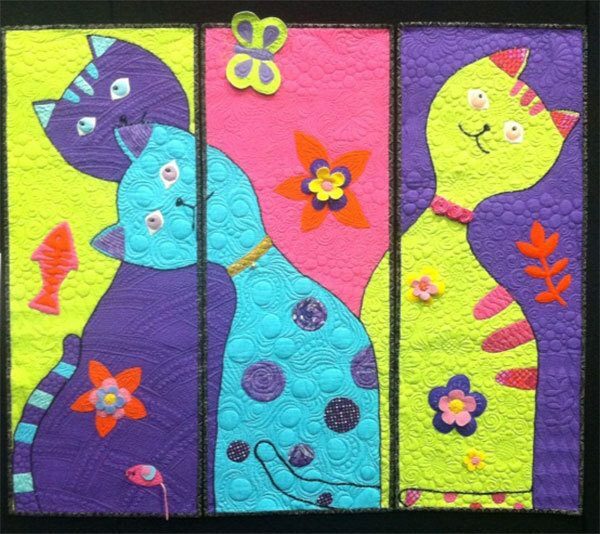 Strip quilts are always popular. 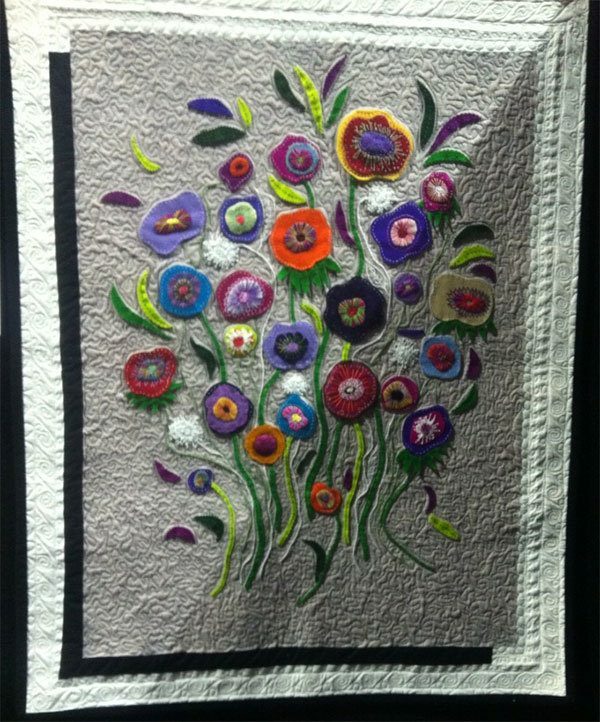 The lighting wasn’t quite right for me as I was just using my phone, but the quilting on this quilt is exquisite.